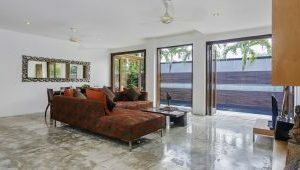 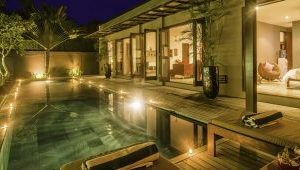 Villa Kotak is an urban sophistication styled villa with a modern and contemporary design flow. 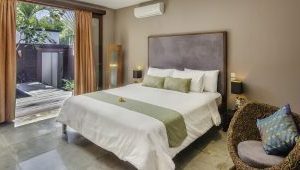 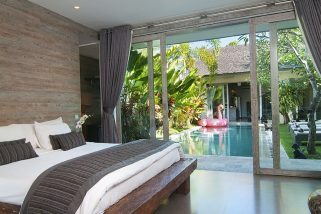 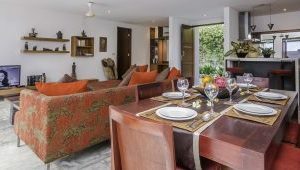 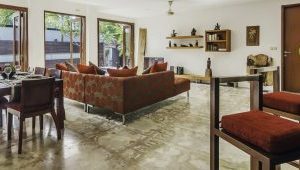 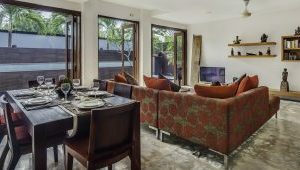 Perfectly positioned in the highly sought after locale that is Canggu. 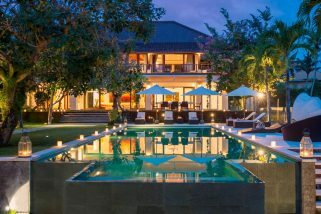 Situated just 500 mtrs from the beach with a full length swimming pool surrounded by lush tropical gardens and high walls create the perfect holiday hideaway. 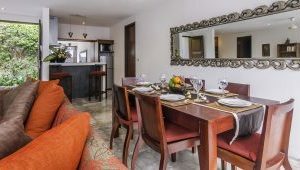 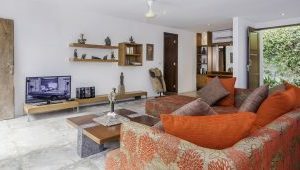 The living area provides air-conditioned comfort with a fully equipped western kitchen along with comfy sofas to enjoy the entertainment facilities including Wi-fi, TV, DVD player and cable TV’s with international channels. 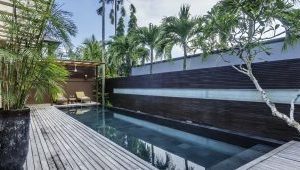 The outdoor area is almost entirely taken up by a full length swimming pool that is surrounded by a timber deck and shady pergola. 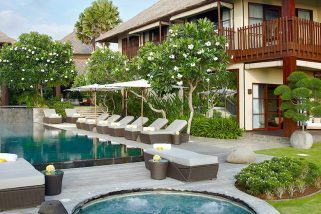 A single palm tree with giant leaves is strategically placed to add a vibrant touch of greenery. 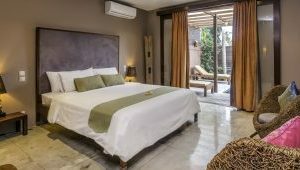 Matching bedroom suites on opposite ends of the villa are orientated towards the pool with glass sliding doors for convenient outdoor access. 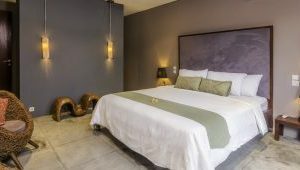 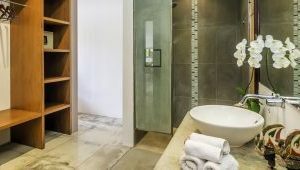 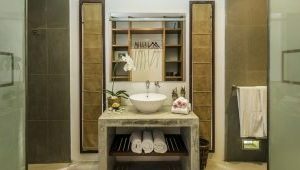 Both rooms have been designed to cater to the privacy of adult guests by featuring modern en-suite bathroom facilities and plenty of storage for luggage. 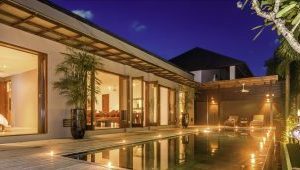 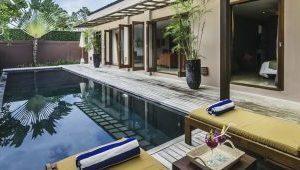 This grand 8 bedroom two-storey villa provides contemporary design nestled in the rice fields and less than 1km from the beach.